Lure Lounge brings you Sunline Flurocarbon Fishing Lines which are the ideal range of Fishing Lines for all your Lure Fishing needs. 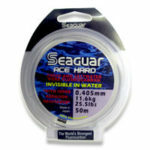 Another range that has been hand picked by our Lure Fishing expert Fluorocarbon Lure fishing lines are designed to withstand the toughest of demands ensuring your fishing line is the best yet. 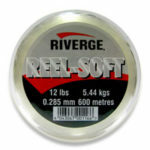 Flurocarbon lure fishing lines are unique and innovative in that they are designed to be slightly denser than water which then helps the line to sink below the surface.